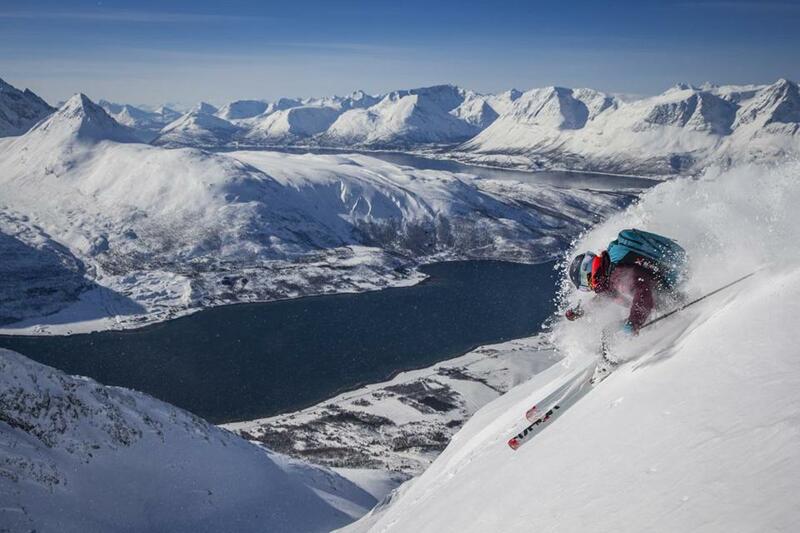 Experience downhill thrills and global adventure while watching Warren Miller’s 68th ski and snowboard film, “Line of Descent,” on show in Boston and Somerville this coming week. The film celebrates the lineage of legendary athletes and current superstars, from Tommy Moe, Jonny Moseley, and Lexi Dupont to Seth Wescott, among others. It takes viewers to some of North America’s steepest pitches in Jackson Hole, Wyo., Montana, and Steamboat Springs, Colo., and follows athletes on splitboards, dogsleds, snowmobiles, and more as they tackle spectacular terrain from New Zealand to Norway. See the film at the Somerville Theatre, Nov. 15 and 16, or the Berklee Performance Center Nov. 18. All ticket holders receive a discount voucher to Sugarbush Resort and Smuggler’s Notch. Tickets: $20 per person. www.warrenmiller.com. Visit the Queen Mary and ride an ice tricycle, try ice shuffleboard, or plunge down a 100-foot-long ice tubing slide. The famous ocean liner, now docked in Long Beach, Calif., unveils a new 38,000-square-foot ice park that features adventures on ice and honors holiday traditions around the world. The CHILL Ice Adventure Park will be open Dec. 13 through Jan. 7, and features an ice skating track, ice bumper cars, ice tricycles, a 300-foot zip line, ice shuffleboard, and a two-story Matterhorn Mountain ice tubing slide. The park includes replicas of a Swiss alpine lodge, where you can savor cheese and chocolate treats, and Germany’s Munich Market, a holiday tradition. Experience a festive Chinese celebration with fireworks, lion dances, a Shanghai Speedway, and Chinese lantern decorating. Celebrate Russia’s holiday traditions while enjoying vodka sips in the 9-degree Ice Bar, or build your own stocking with Santa’s elves in the North Pole exhibit. Rates start at $29.99 for ages 9 and older, $19.99 for 8 and under. Closed Dec. 31. 800-437-2934, www.queenmary.com/chill. Livestream your adventures using a slim and stealthy camera that can be carried on a compatible neck leash or clip. The mini FrontRow camera takes high-quality photos and videos (up to 2.7K), comes with built-in image stabilization, and has an impressively high-resolution LED screen that resists scratches. Download the FrontRow app and pair the camera with your smartphone using Bluetooth or Wi-Fi. Then use your phone as a viewfinder, to adjust camera resolution, to review photos and videos, or to connect the camera to your Facebook, Twitter, and YouTube accounts for livestreaming. Select Story mode to create a fun time-lapse video that tells a “story” about your adventures. FrontRow’s handy translator app lets you translate phrases between 17 languages, including English, Chinese, German, Spanish, Icelandic, Italian, and Portuguese — just speak into the camera’s microphone the camera provides a text-based and an audible translation. The camera takes a little over a minute to boot up (leave it on so you don’t miss anything), but charges quickly in between adventures and has a battery long-lasting battery. $399. www.frontrow.com. Warm your boots on the way up to the slopes and dry them off after a day in the snow using DryGuy’s Travel Dry DX. These slim warmers easily slip into your boots or shoes, and use a convection and forced-air drying system to dry footwear. Air up to 99 degrees gets circulated around the toe box, removing moisture and drying your footwear in two to five hours. The portable dryer weighs 1.3 pounds and can plug into a wall outlet or your car’s 12V outlet. $39.95. Available at REI and other retailers. www.dryguy.com.